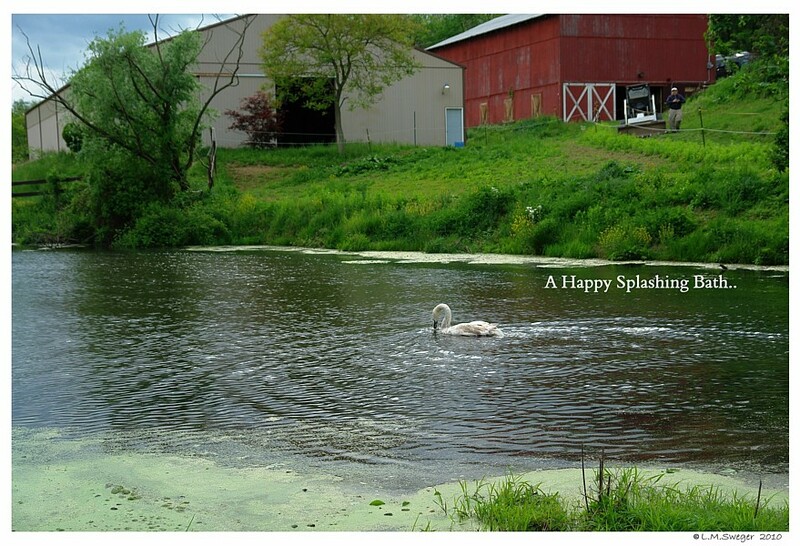 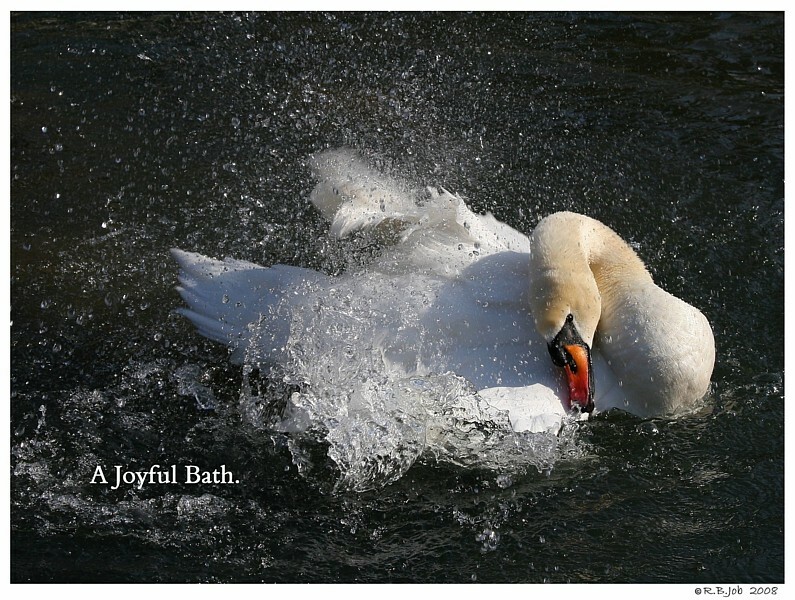 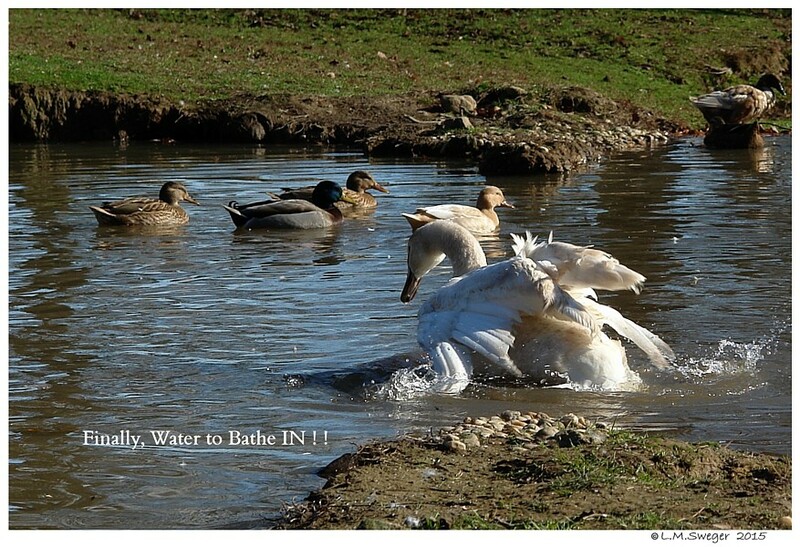 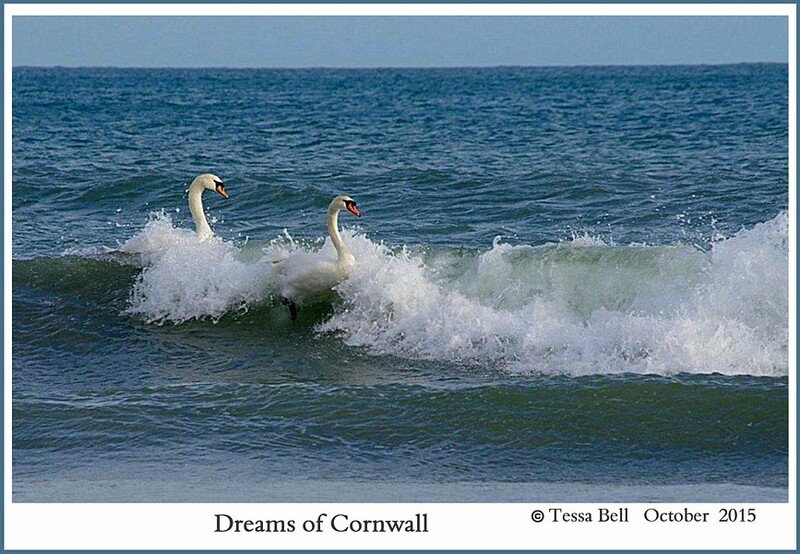 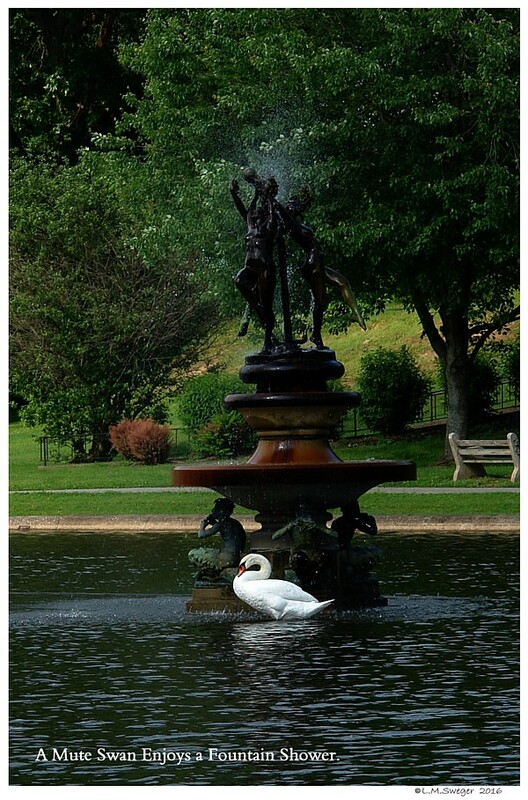 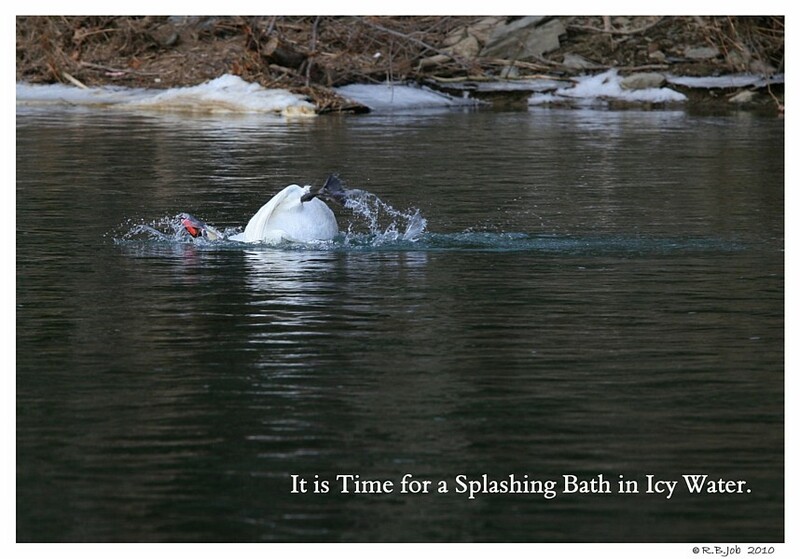 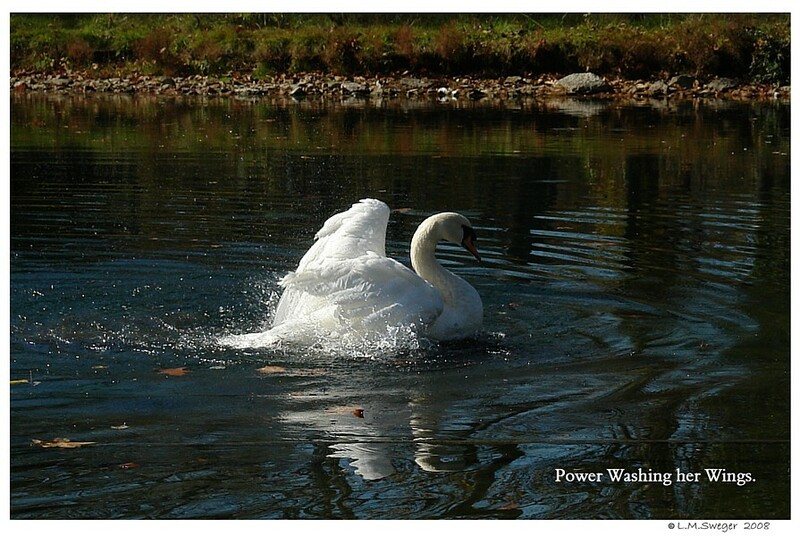 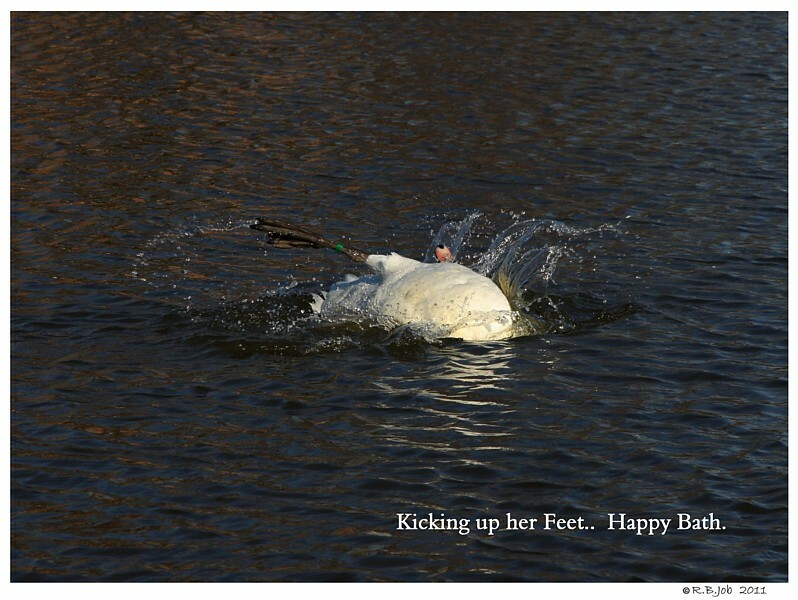 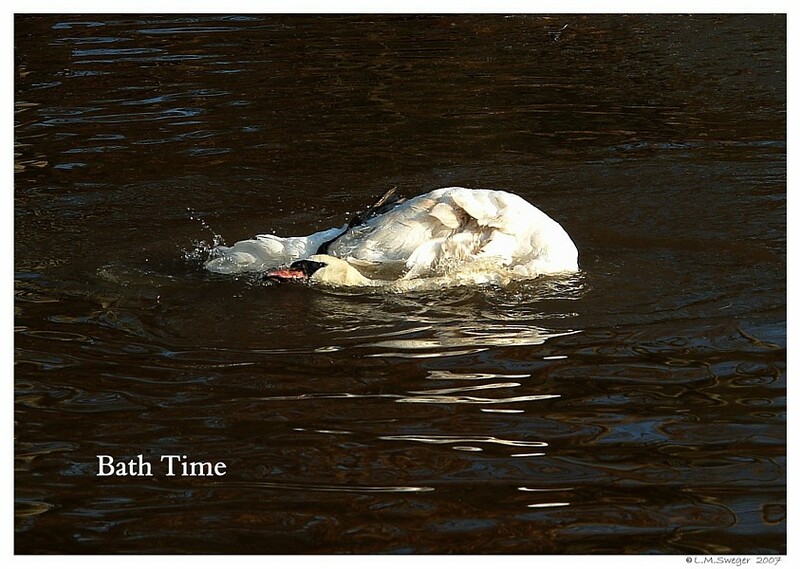 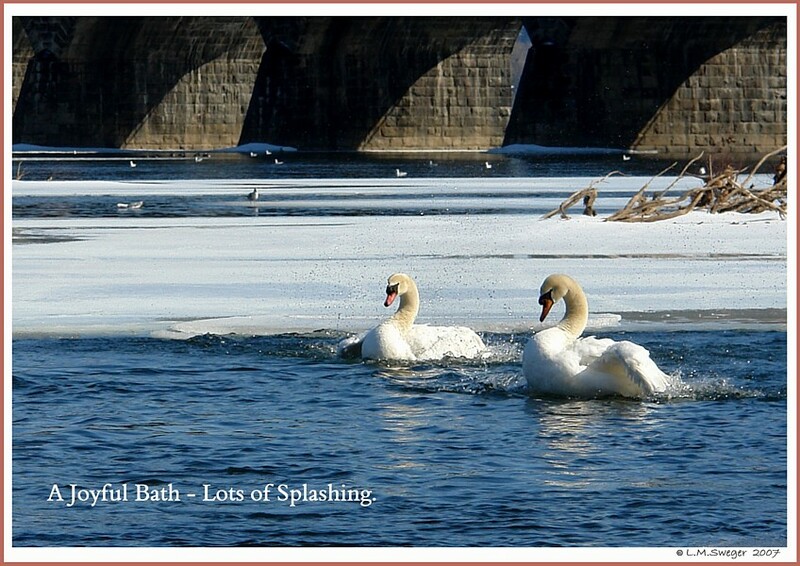 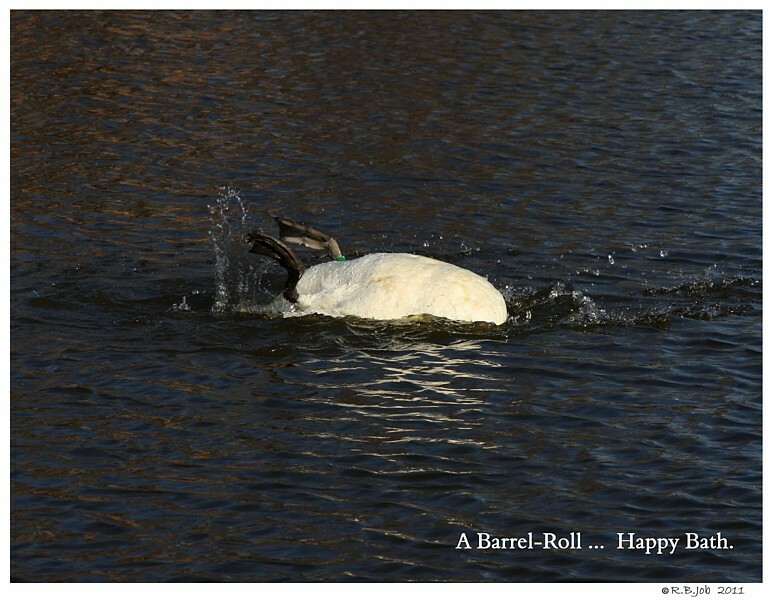 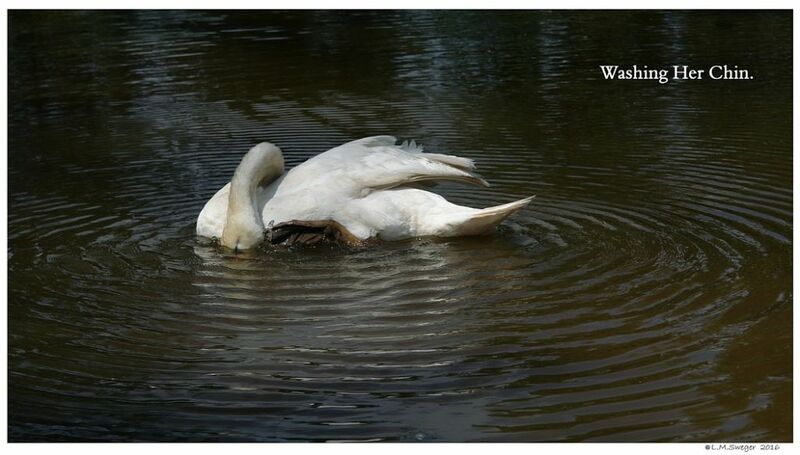 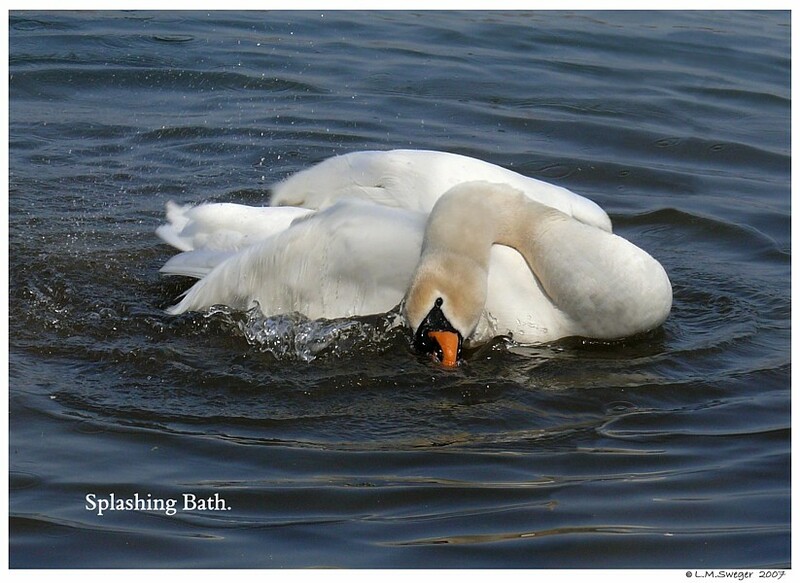 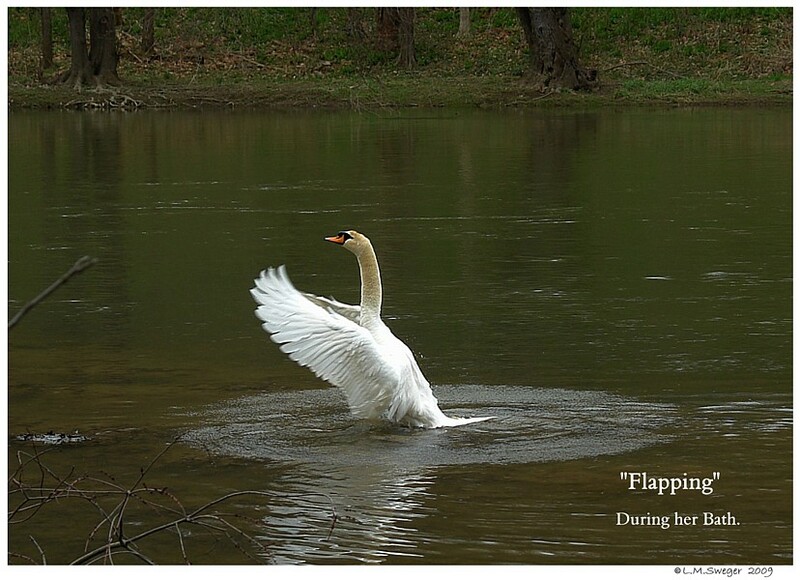 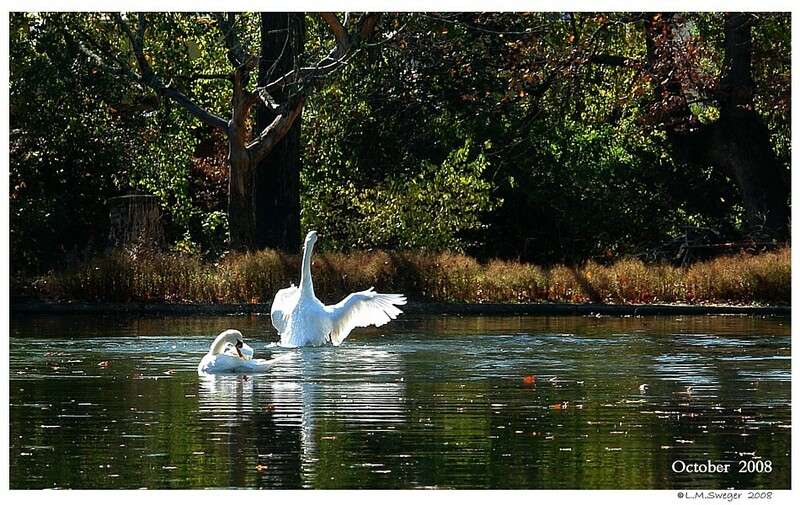 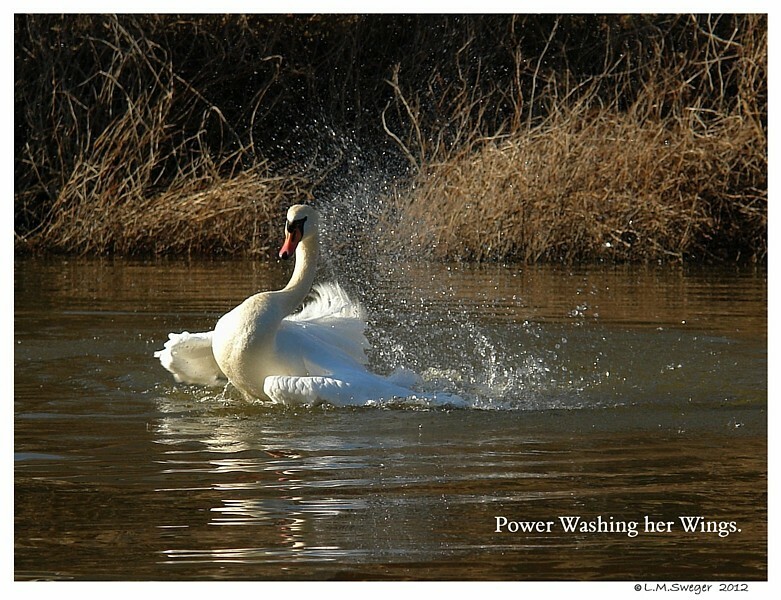 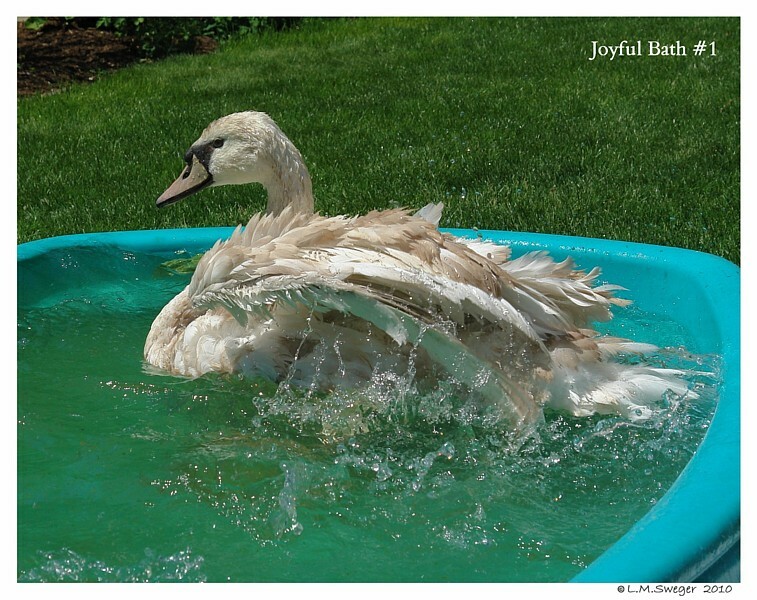 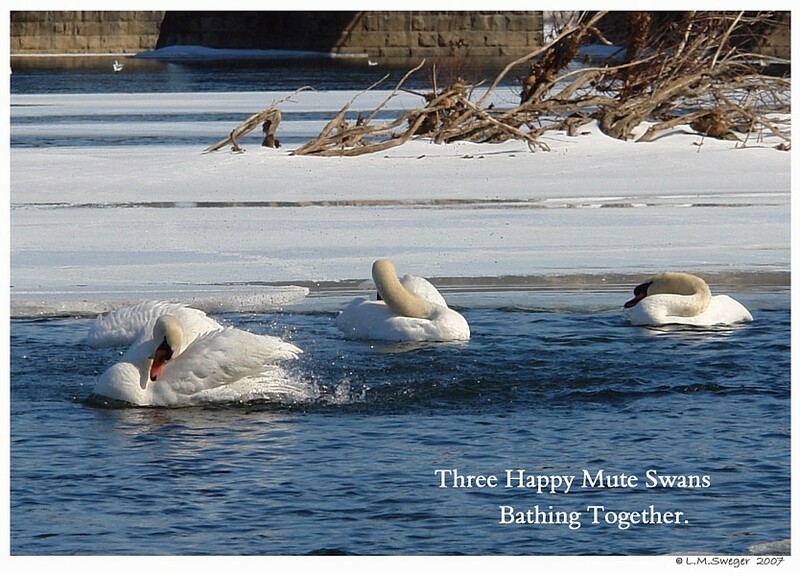 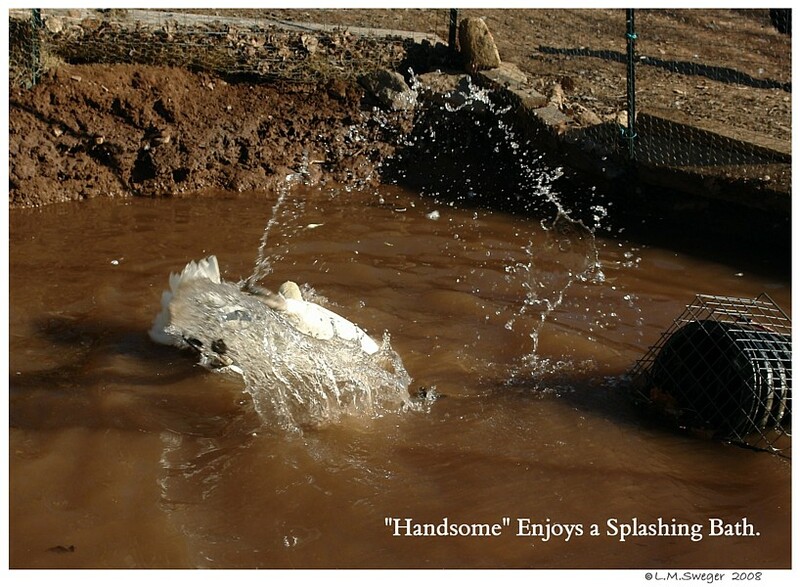 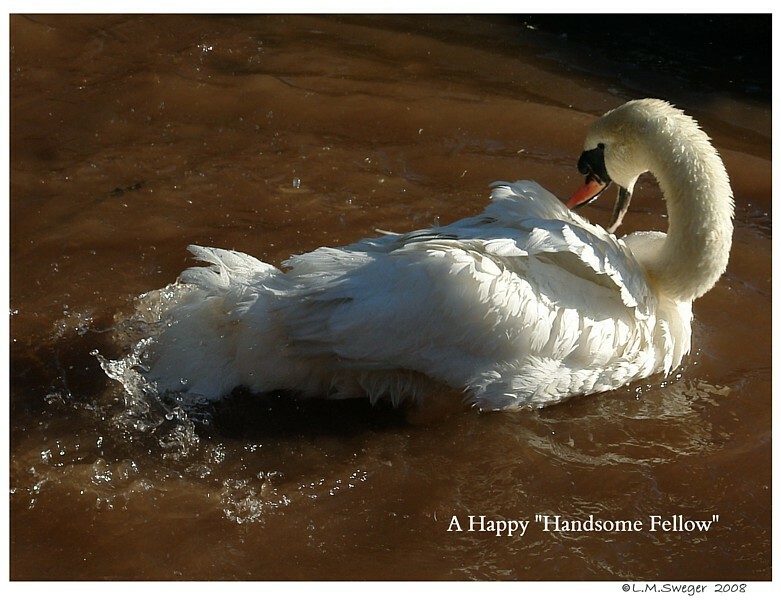 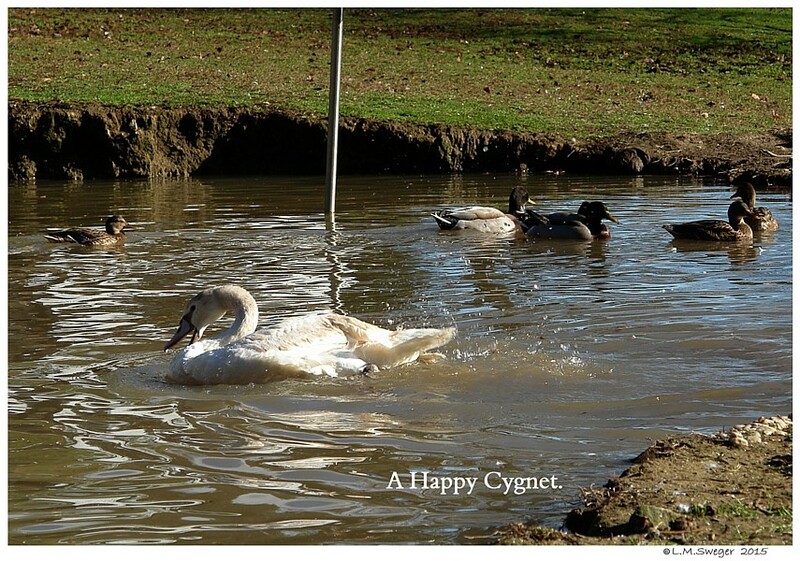 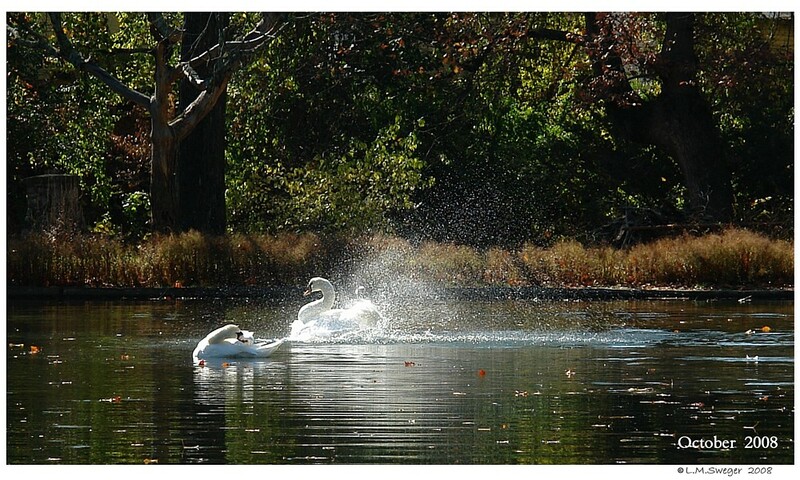 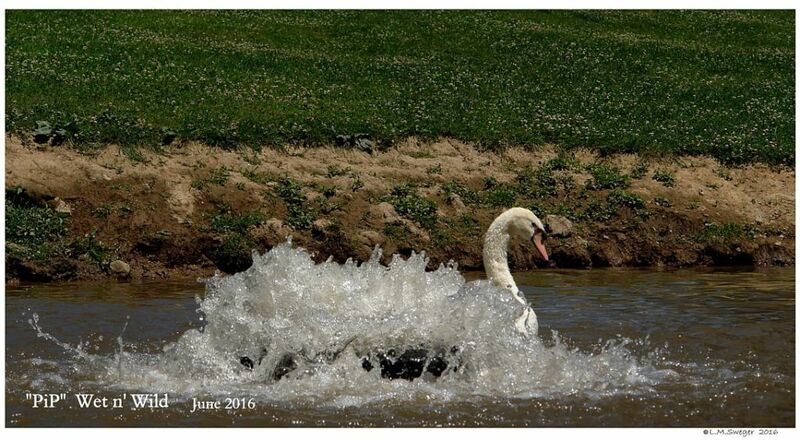 It is a Time to Smile when you Witness Swans Bathing. 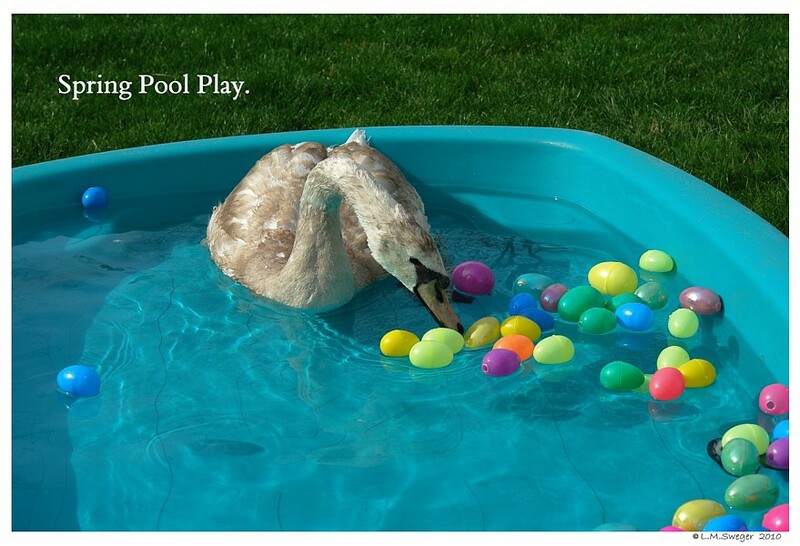 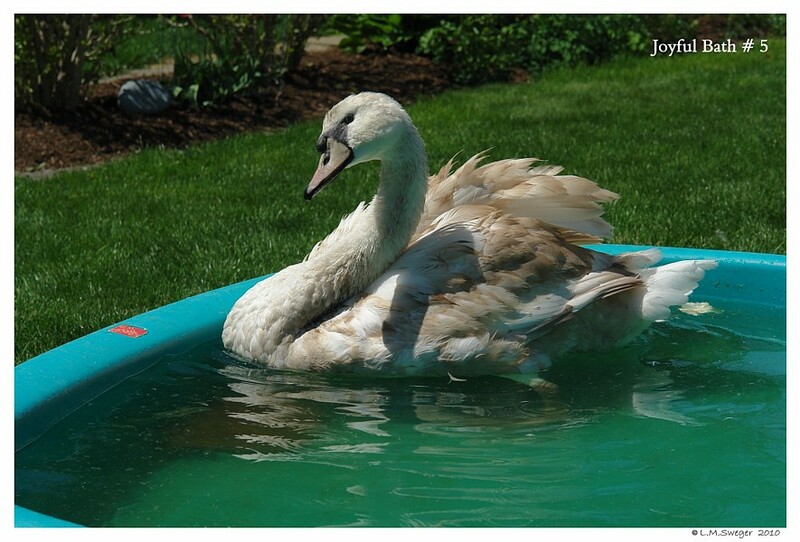 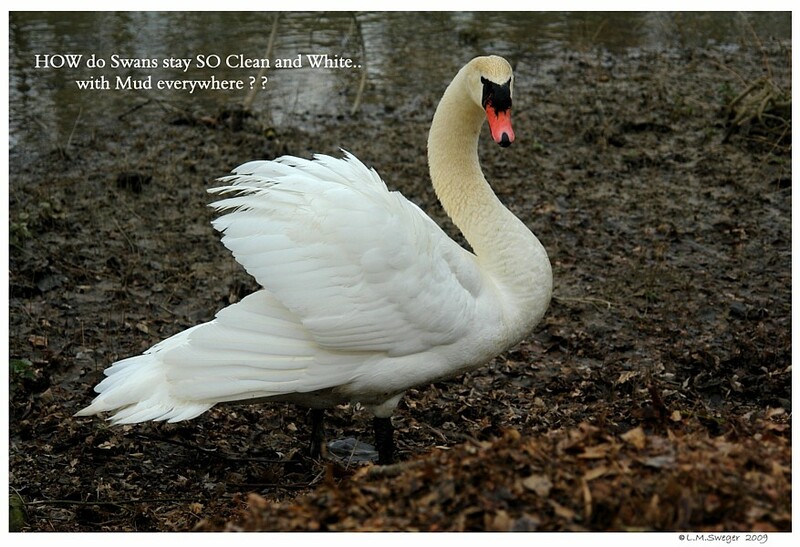 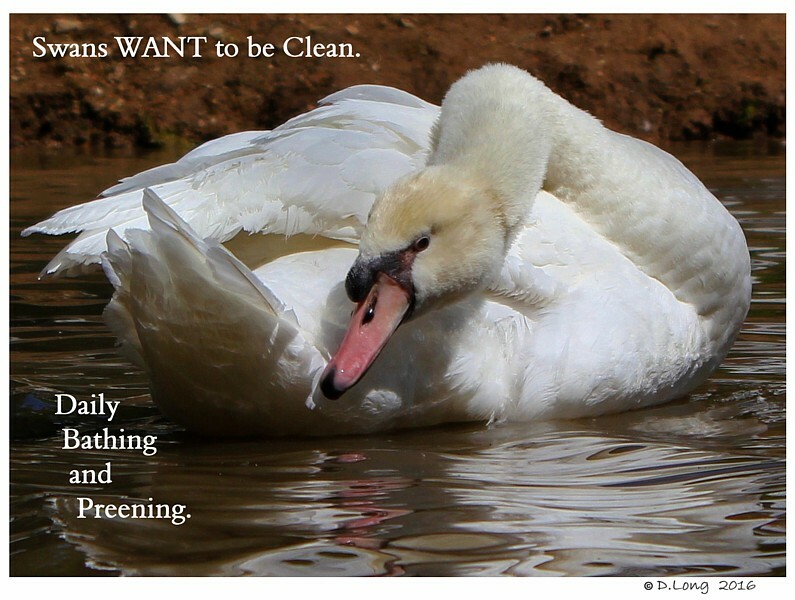 How do Swans Stay SO Clean and White ?? 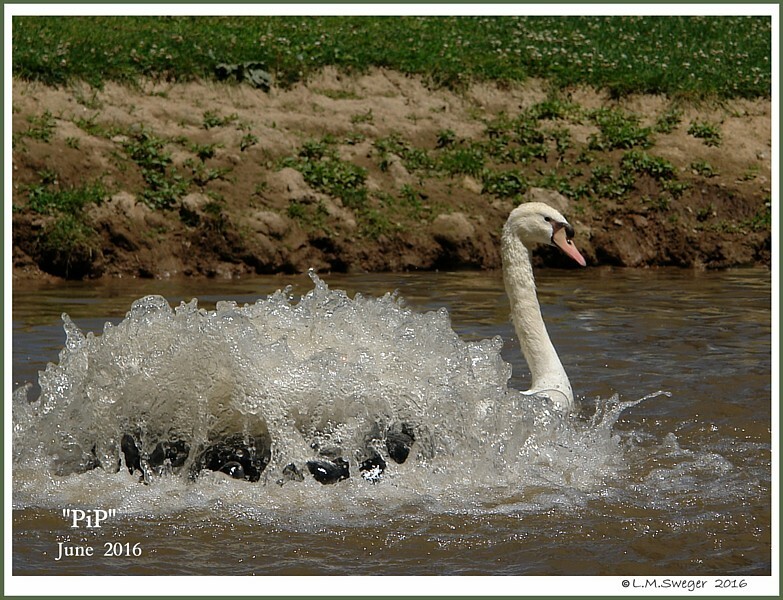 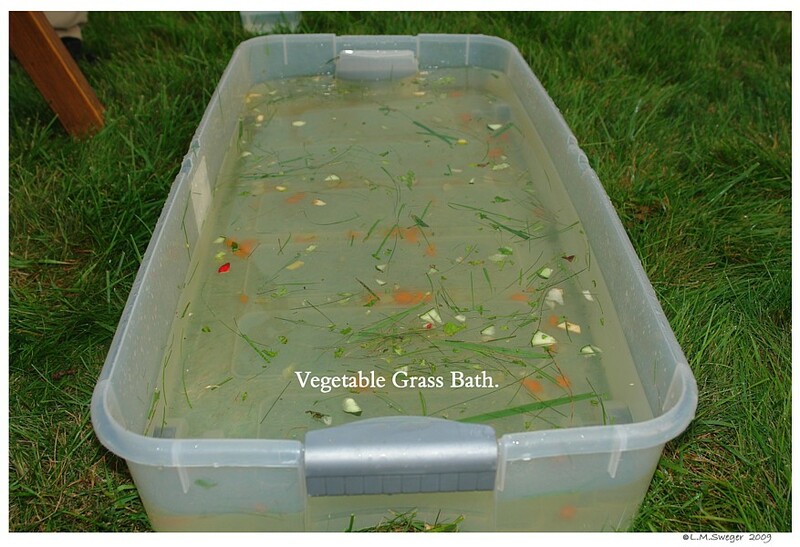 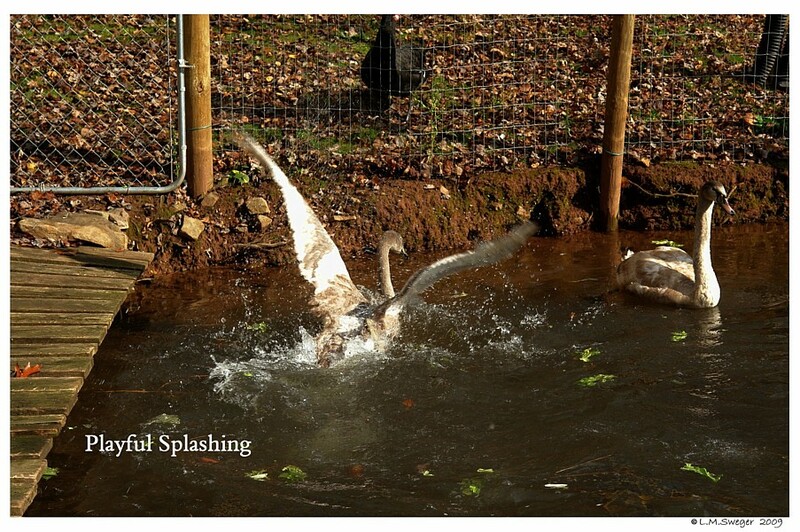 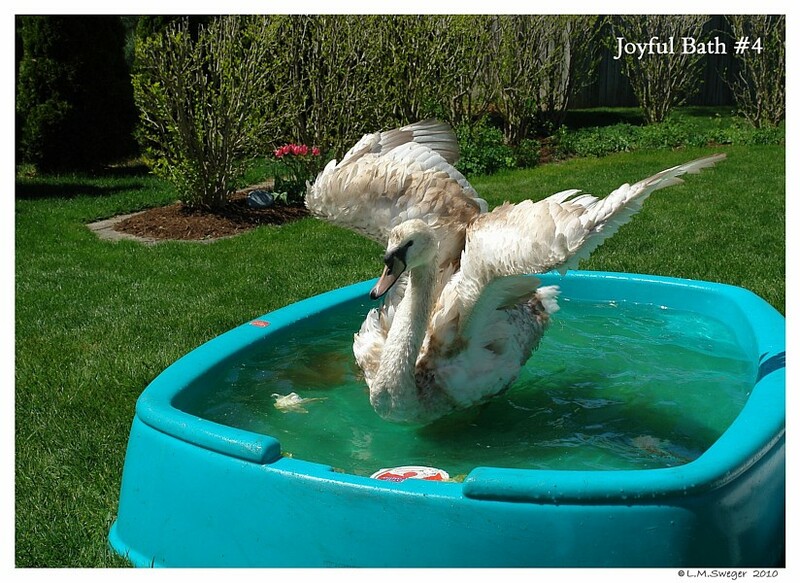 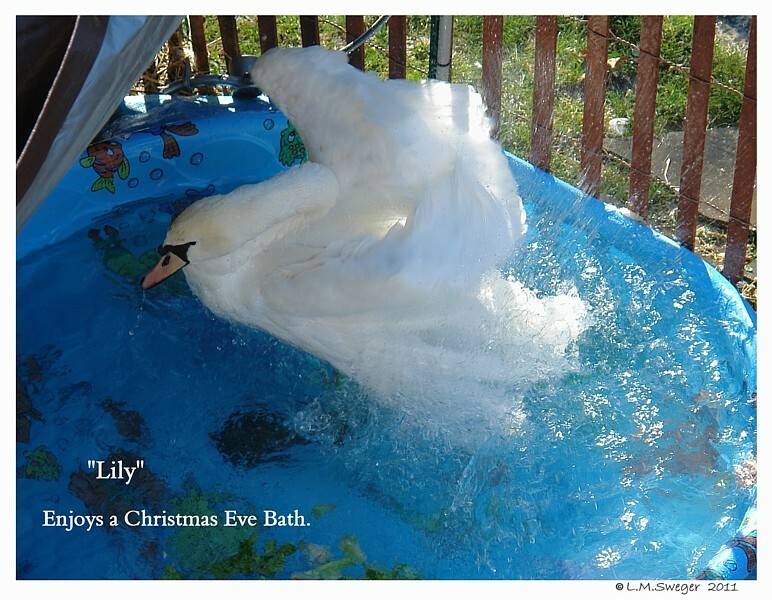 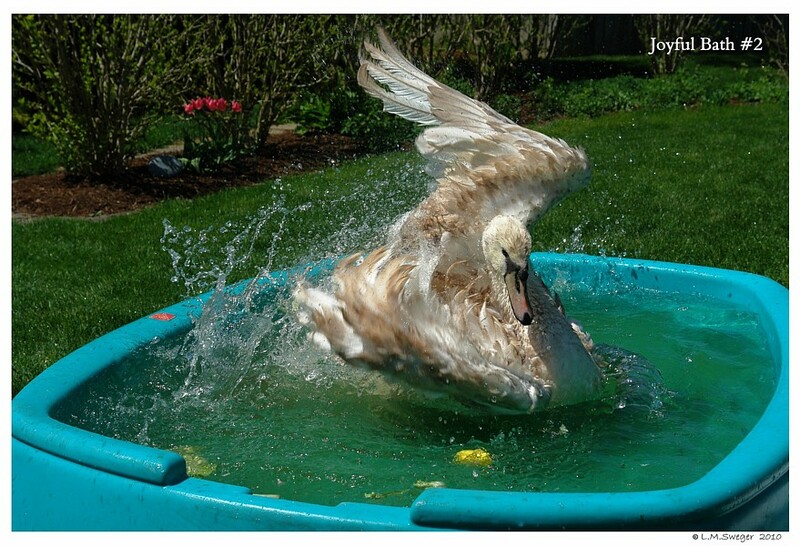 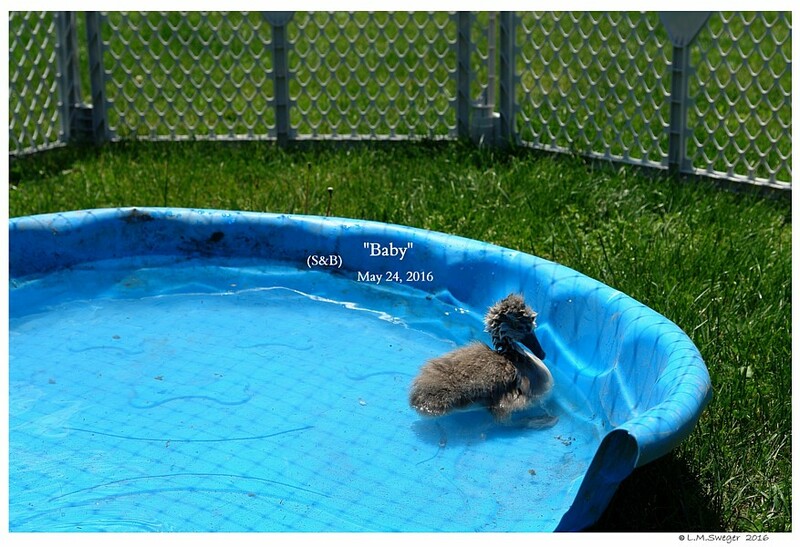 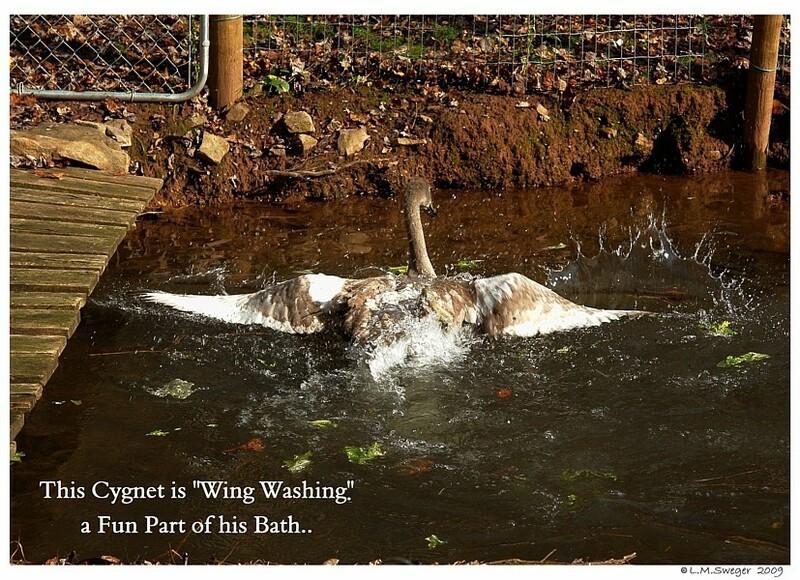 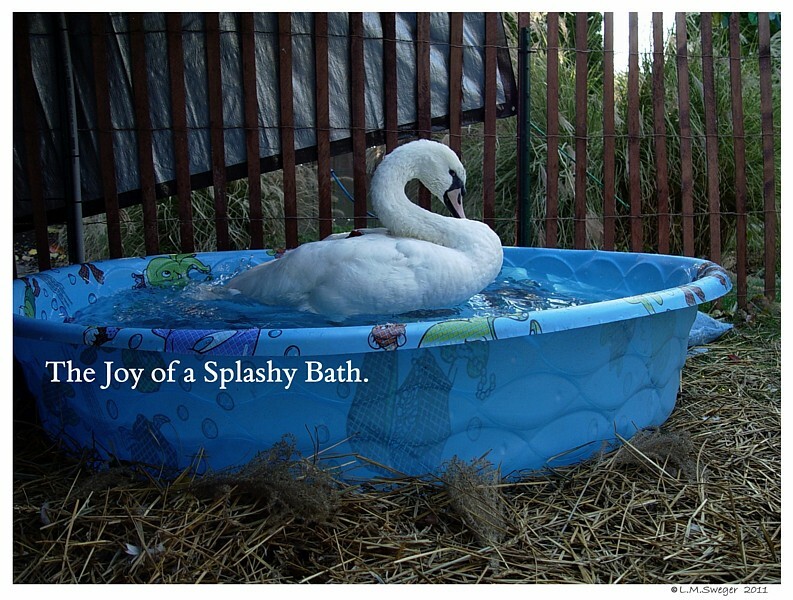 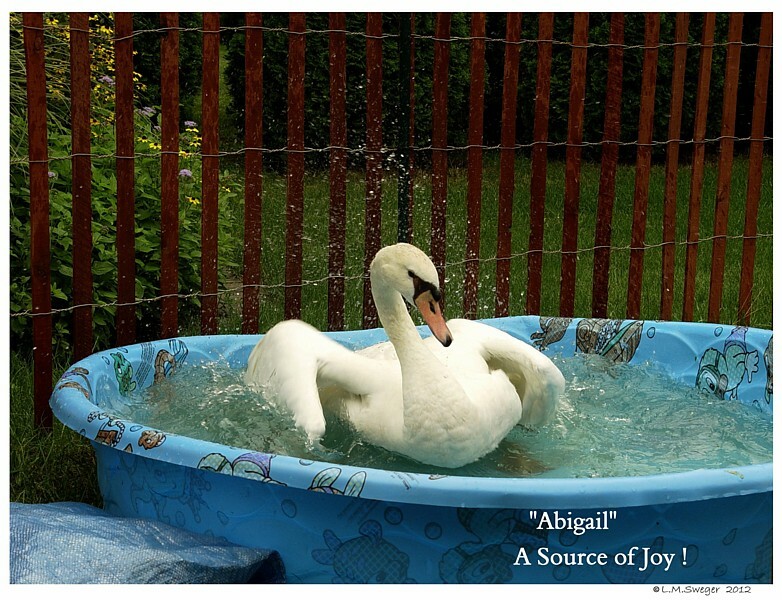 After Several Long Weeks of Recovery – A BATH ! ! 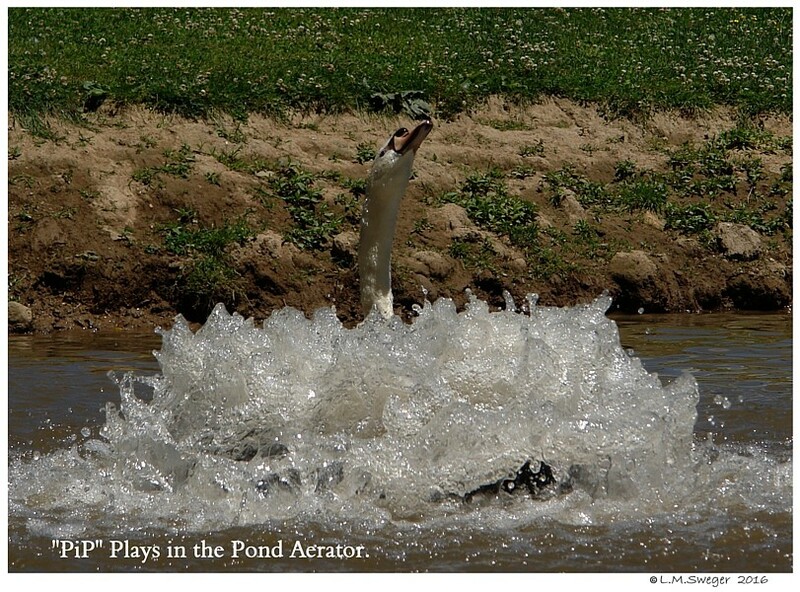 Playing in the Pond Aerator. 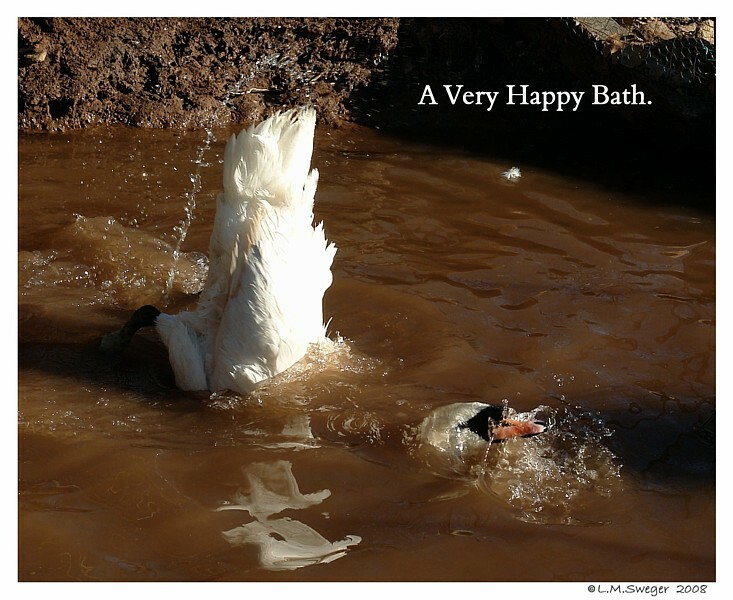 A Bath After a Long Trip to his New Home. 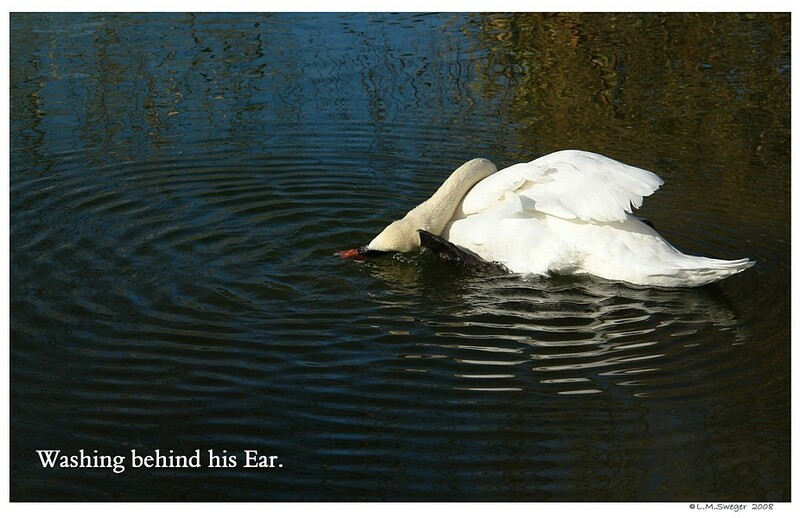 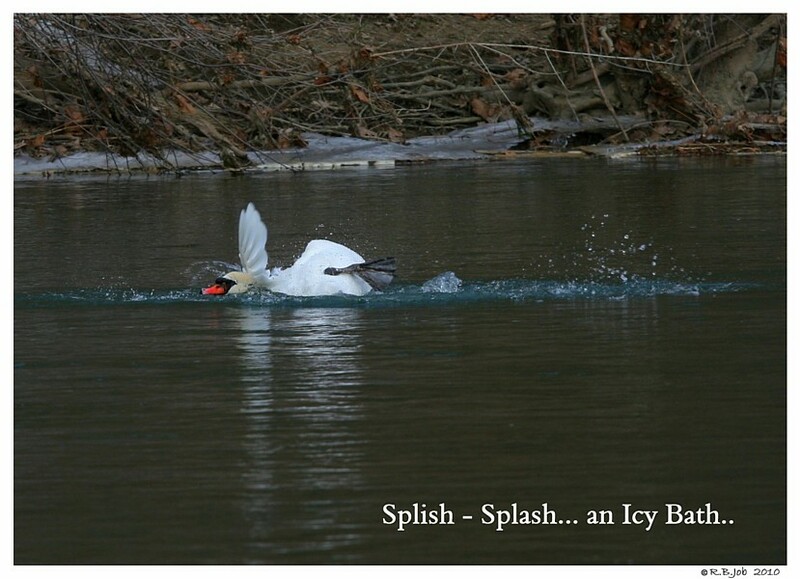 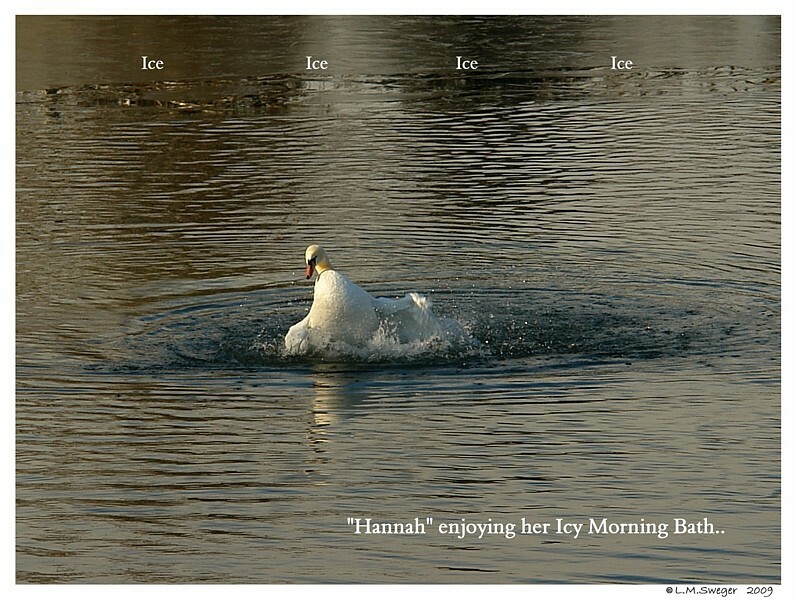 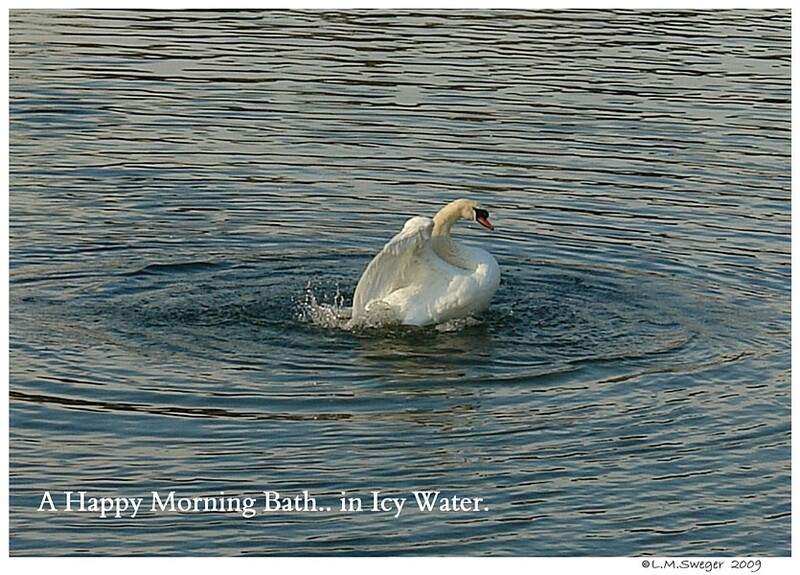 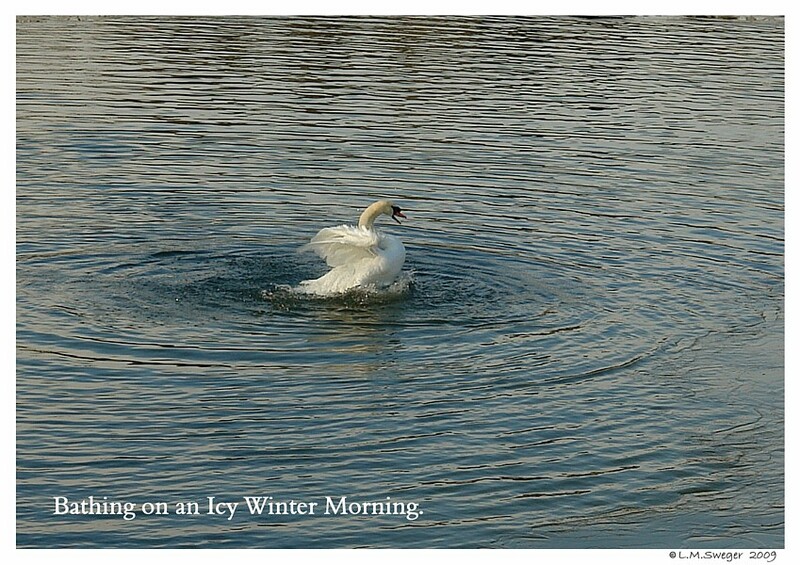 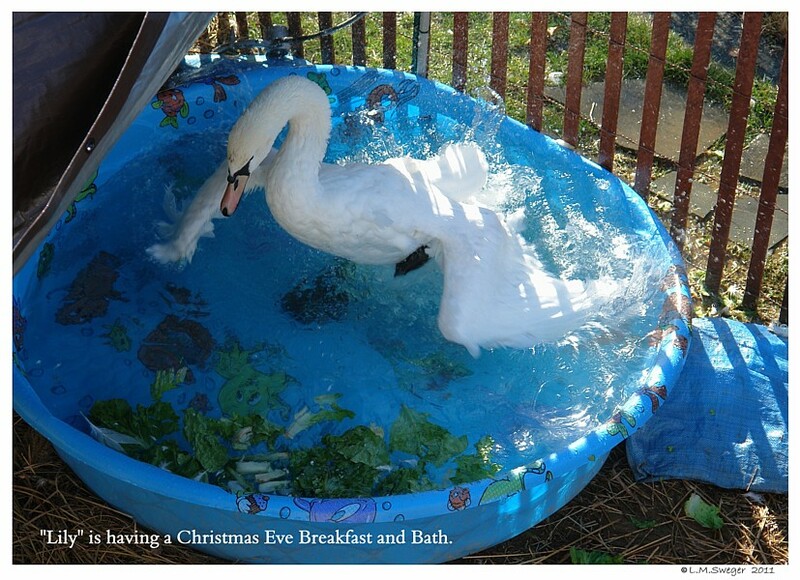 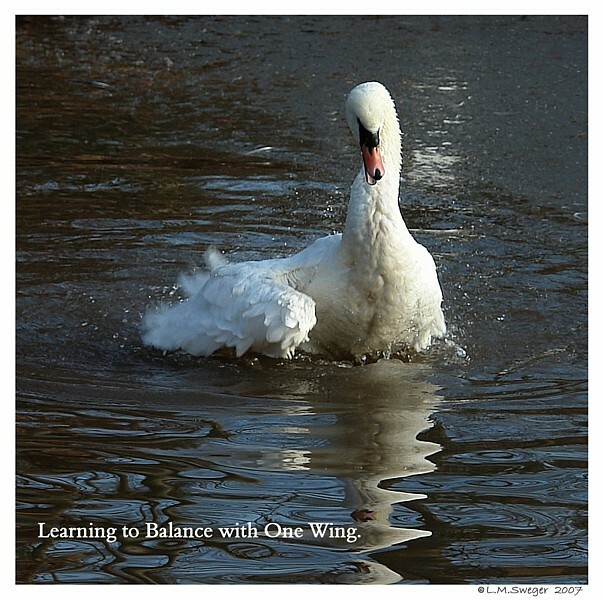 Swans are Comfortable in Icy Winter Water. 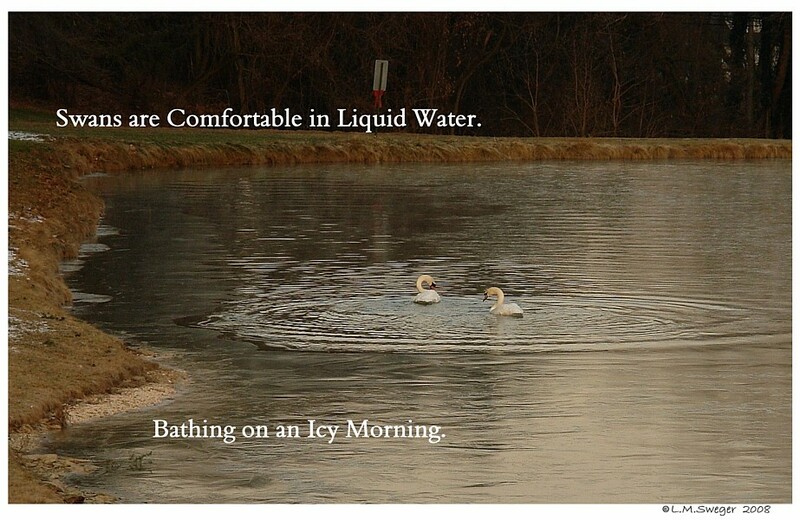 This is TOO COLD FOR ME ! ! 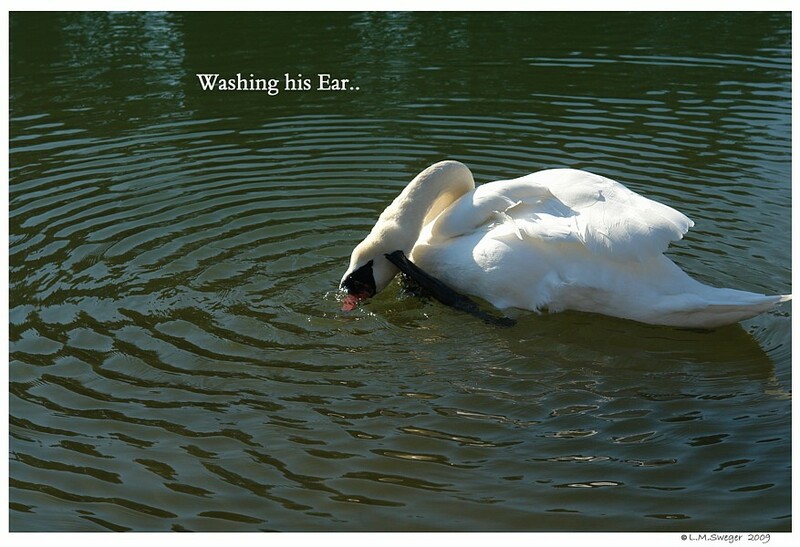 This Page is Just for Fun. 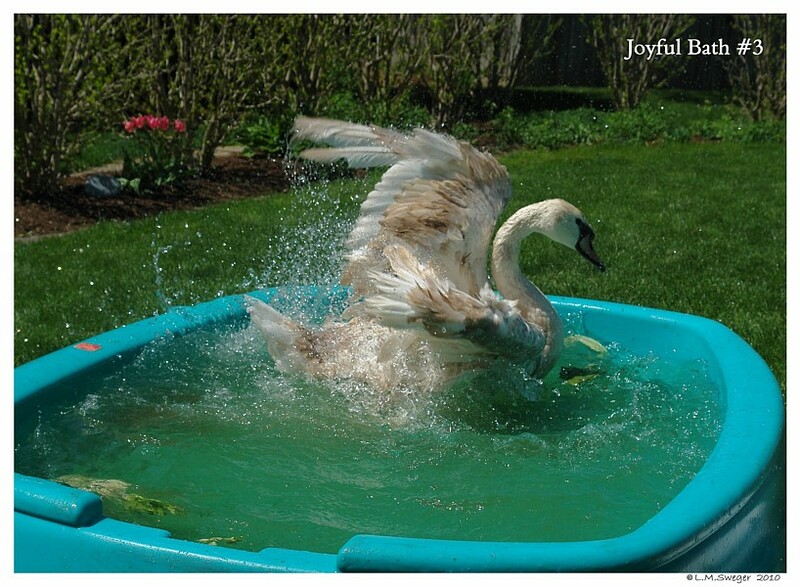 Memories that make me Smile.